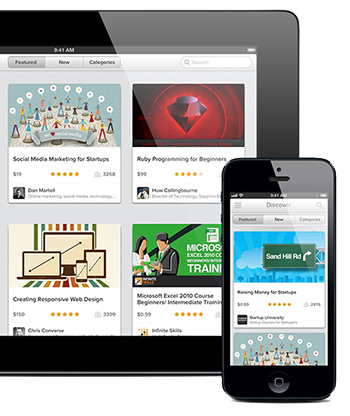 On April 1st 2013 Udemy launched their new Udemy iPhone App! Also Udemy iPad App got a fresh update. 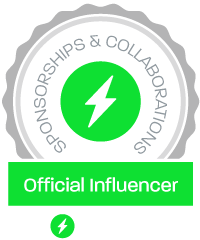 “Udemy is the world’s largest destination for on-demand, online courses. Whether you want to get promoted, break into a new industry, start a company, further a passion, or just accelerate your life, Udemy has a course to help you get there and get there faster. When you download the Udemy App, you’ll join the over 500,000 people who have already made the decision to accelerate their lives by taking a Udemy course. What can you learn on Udemy? … and everything in between! We know you’re busy. And that’s why every course on Udemy is available on demand, 24 / 7, so you can learn when and where you want. With the Udemy app, you can squeeze in a few lectures on your commute. Or before bed. Or during lunch. Or just whenever you can find the time. But whatever you do – Don’t Stop Learning! Install the Udemy now and start learning something new today. This app is compatible with iPhone 3GS, iPhone 4, iPhone 4S, iPhone 5, iPod touch (3rd generation), iPod touch (4th generation), iPod touch (5th generation) and iPad. Requires iOS 5.0 or later. This app is optimized for iPhone 5. – You can discover thousands of on-demand, online courses. – You can watch courses on the go: video lectures, audio lectures, presentations, articles, and anything inside your course. – You can watch your course offline: Save courses for offline viewing so you can watch them while you’re on a plane or subway! – You can watch videos at 2x speed – Want to learn even faster?!? Watch your video lectures in multiple speeds. Learn more in less time. Also the App features an easy way to purchase Udemy courses using the Apple agreement, without the need to enter additional payment info. Chet Davis – Your Technology Tutor – prepared a very instructive video about the use of the new Udemy iPhone App. Read more in our G+ Udemy Continuing Education Group. <<If Bill Nye taught us anything, it’s that learning can happen anytime, anywhere. Udemy agrees, which is why the startup launched an iPhone app today to provide instant, on-the-go access to its course offerings. Udemy is an online learning platform that offers videos and live lectures from hundreds of expert instructors. With this mobile app, users will be able to access the content whenever they want to learn. <<Udemy, the leading online education marketplace, today announced the immediate availability of the Udemy iPhone app. Offered at no charge through Apple’s App Store, the Udemy app makes it easy for anyone with an iPhone to quickly discover and take one of the thousands of courses in the Udemy marketplace.